We investigate whether the SEM model (Self-evaluation maintenance model) can be applied in HRI in relation to psychological safety of a robot. The SEM model deals with social comparisons, and predicts the cognitive mechanism that works to enhance or maintain the relative goodness of the self. 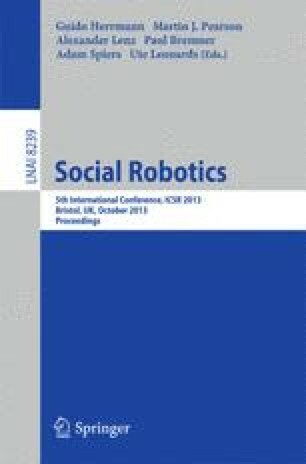 The results obtained from 139 participants show that the higher self-relevance of a task is related to a lower evaluation of the robot regardless of actual level of performance. Simultaneously, a higher evaluation of performance relates to higher safety. This study replicates the prediction of the SEM model. In this paper, we discuss the generality of these results.